I’ll Be At Mile Hi Con 2016!! I have exciting news!! My friend Alessandra Clarke and I have been accepted into Author’s Row at Mile Hi Con 48! We don’t have many details yet, such as where in Author’s Row, etc, but I’m super excited! From what I’ve read about Mile Hi Con, it has a significant author’s row, a lot of writers and publishers, so I’m excited to be able to show off my work there! I also am thinking of having free samples of The Orc War Campaigns to give out. I hope to have finished writing the Orc War Campaigns by then, and even be posting those final episodes before or during the end of October. So if you’re going to be at Mile Hi Con, please come by and say hi, even if you already own my books! I’d love to see you and hear from you, and if you’re willing, get a photo with readers and fans! 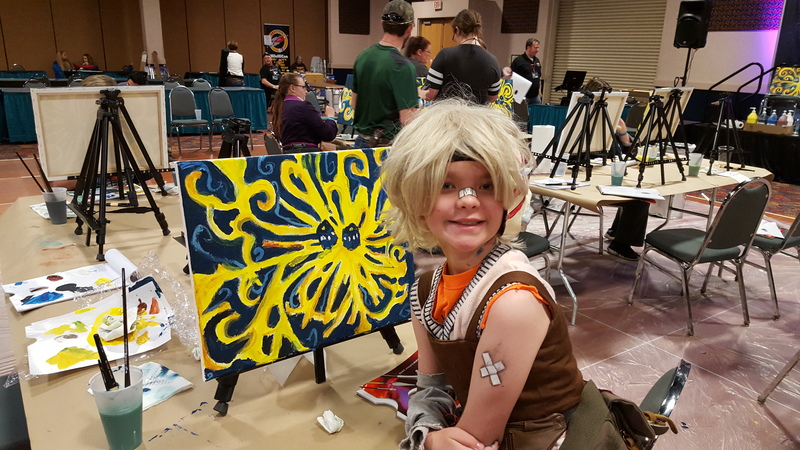 Starfest was a first-of-a-kind experience for me: for the first time ever, I was a vendor at a con, not a visitor! That’s right, along with my friend M. H. Lee, I sat at a table in author’s row, actively engaging with customers, trying to convince them that my novel was worth buying. This was definitely one of the most unique activities I’ve ever participated in. First was deciding how to setup our table. The only picture I took was our initial setup on day one, but it evolved often, and thanks to M. H. Lee’s awesome eye for putting up a store front, by the end we had a setup that really put our fiction novels at the forefront, and I think helped us sell. We also had a GREAT spot, right next to the main passageway between the authors alley and the merchant section :D So there was a ton of foot traffic that passed us by! But most important was learning how to engage passersby. This is something I struggled greatly with. 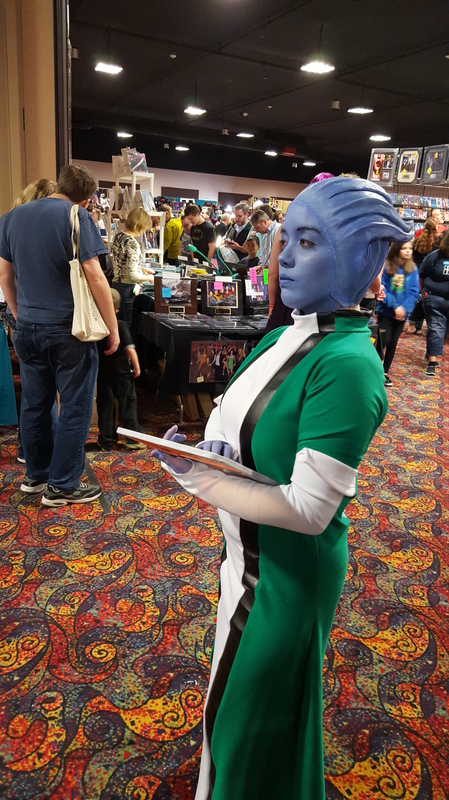 I tried to make eye contact with everyone who passed by, and even say hi or good morning…but this just wasn’t garnering attention or getting people to come buy our books. So on Sunday, I changed my approach. And the result? Well Friday I sold only one copy. On Saturday I sold one. But on Sunday, I sold half a dozen! While I’m sure it wasn’t just because of my change in tactics, I’m sure it helped. But I think that’s a lesson all writers can take away: sell your book. Don’t be shy about it. That’s why you’re there. And I’m not just talking about conventions. Spread the word, tell everyone about your book, tell everyone why it’s exciting and they should buy a copy. After all, how can the word ever get out…if you don’t tell them? I’m finding that the more I go to conventions, the more I am enjoying them :) Hence why I’m going to Anomaly Con this weekend, even though I’ve not really gotten into the steampunk scene. 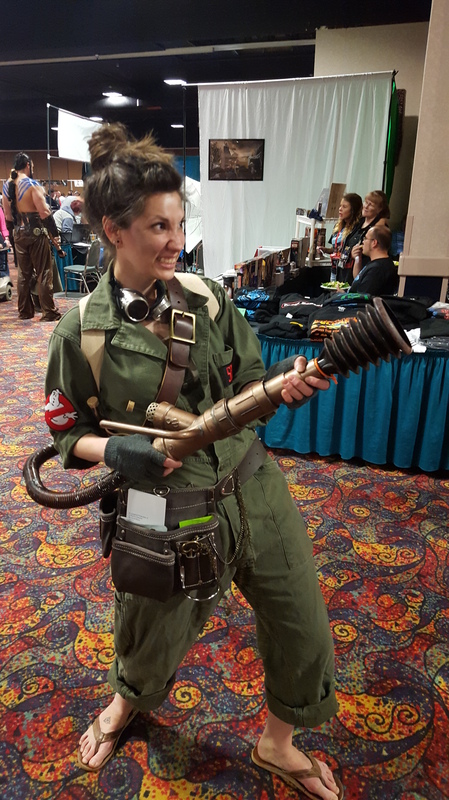 I met some amazing people at Starfest, made a new friend, and saw some incredible cosplay costumes! I only cosplayed on Saturday, breaking out my 11th Doctor costume yet again, but I loved getting comments on it (even if it is incomplete) and I loved interacting with all of the cosplayers. Here are some of my favorites from the con! Burning Skies – Final Proofread Complete! Now for that news I promised: I finally finished the final proofread of Burning Skies!! The results?…Well, I have a lot of work ahead of me…a lot… But that’s going to have to be detailed in a future post ;) But this is exciting news, this brings me one step closer to having Burning Skies ready for its end of May release! It also means I get to start posting more info about the story! I am so excited, this was such an awesome story to write! 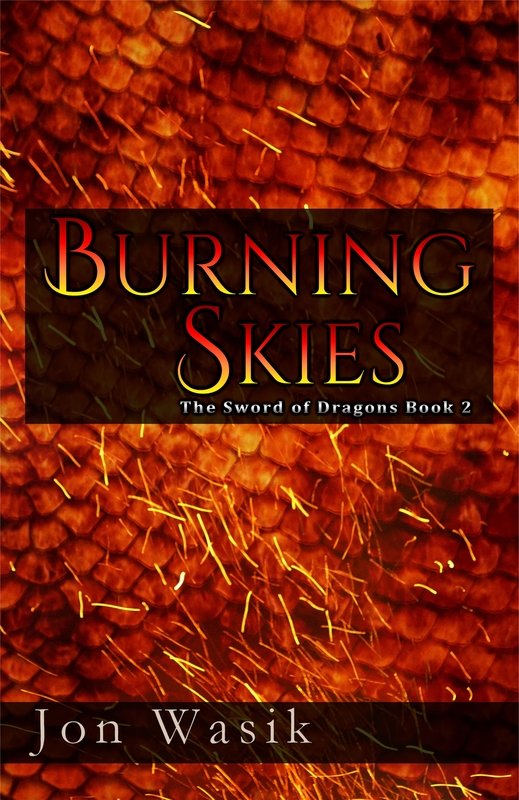 For all of the world-changing events that happen in The Sword of Dragons, they are nothing compared to Burning Skies ;) So keep an eye out, this is just the beginning! Do Writers Get Sick Days? 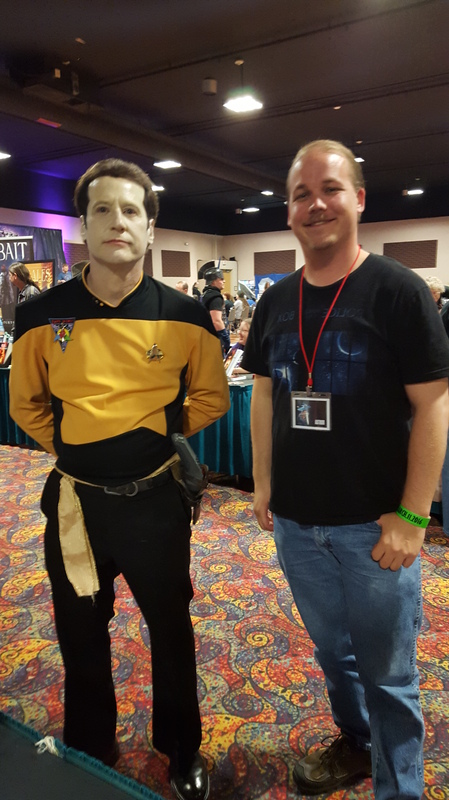 Before I get into the meat of this post, I just wanted to let everyone know that I will have a booth at the upcoming Starfest Sci-Fi Convention in Denver, CO! I’ll be sharing my booth with the talented fellow author M. H. Lee, so come on by and check us out! It has been nearly 3 weeks since my last post, and I am so very sorry to leave you all in the dark like this. There have been a few causes, not the least of which was that I was sick for nearly 3 weeks. In fact today is the first day in 3 weeks that I haven’t had a nasty cough. So I haven’t been neglecting you all on purpose or without cause, I promise! But there’s also more. Some of you may have recognized a pattern in the past couple months, this sudden lapse in posts happened last year. Sometimes life has a way of tearing us down, and for me, the hardest-hitting is when I am in a disintegrating relationship. I’ve avoided talking about my relationships in the past on here, and for the most part I’d like to continue that. But my slow-down in creativity, my lack of blog and Facebook posts, it got me thinking, and I can’t help but wonder how other authors out there balance the peaks and troughs of their personal lives against writing. So when life turns painful, all aspects of my writing suffer, and I feel like I’m letting you all down. I don’t want to. But I also realize that writing is still a job (granted one that I completely love,) and all jobs have sick days. Sometimes we need to take time off from our jobs to take care of what’s important in our lives, who is important in our lives. I guess this past month has been my sick leave. But it’s time to come back. I won’t leave you all hanging for several months like I did last year. It’s time to get back into writing full-on again. I might have to ease in a bit, but I’m back from my ‘leave’. What about all of you? How do all of you keep your personal lives from negatively affecting your creative outlets and jobs? And do you believe that writers, celebrities, and anyone else who presents themselves to the world at large like this, really get sick days?